French movie longstanding star Gerard Depardieu has proclaimed his love for Algeria and said he wants to live in the North African country in comments in which he lashed out at France’s colonization. “Algeria is a wonderful country, I am interested in the history of Algeria. Its people are intelligent and not as described in France,” Depardieu is quoted as saying. The 69-year old man told local newspaper La Provence that he wants to live in the North African country as his French countryman Eric Cantona. The Manchester United legend, according to Depardieu, owns a house in the Algerian city of Oran. The football legend is also married to an Algerian woman. 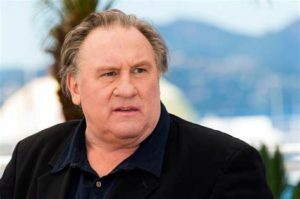 Depardieu has not disclosed the future location of his residence or when he will be relocating. Posted by Geraldine Boechat on February 21, 2018. Filed under Lifestyle, News, Zoom. You can follow any responses to this entry through the RSS 2.0. Both comments and pings are currently closed.